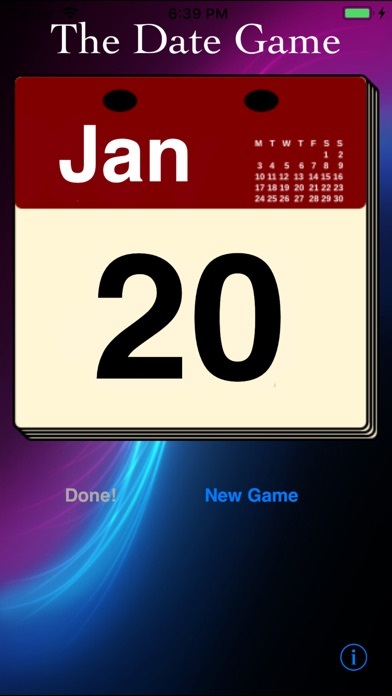 Download The Date Game free via AppsHawk. 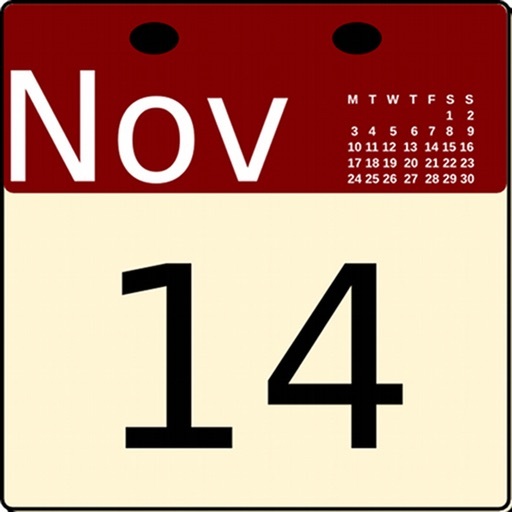 The Date Game is a simple but challenging puzzle game! 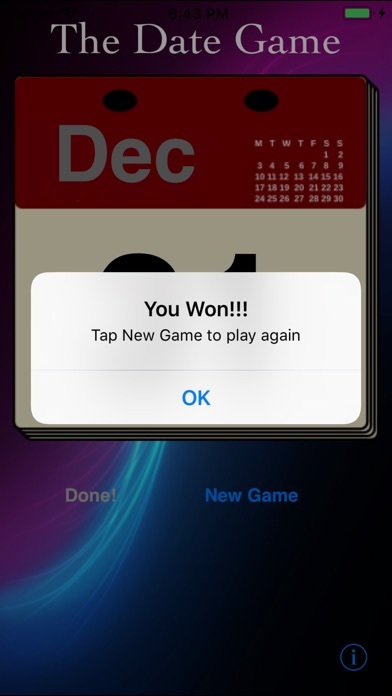 The object of The Date Game is to be the first player to reach Dec 31. During your turn you can tap the month or the day (but not both!) as many times as you like to go to the next month or day. When you're done, tap the Done button, then the iPhone will take its turn. 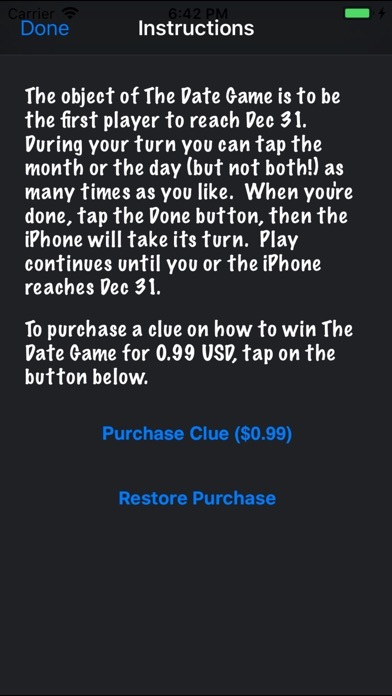 Play continues until you or the iPhone reaches Dec 31.